Mugshot of Konstantine Rudenko, 29. Leola-Rose Williams, 22, was thrown off a motorcycle and died at the scene on Oct. 28, 2018. Police arrested the man who was driving the motorcycle. 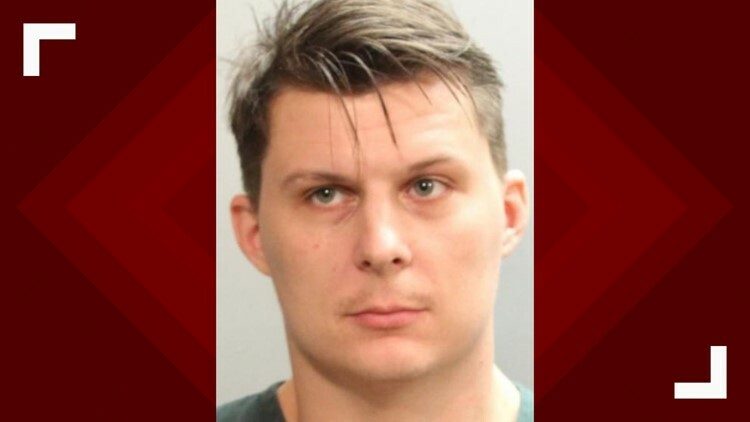 A man was arrested Thursday after he reportedly drove a motorcycle drunk and got into an accident in Jacksonville Beach that resulted in the death of his passenger, the Jacksonville Beach Police announced Friday. Police say on Oct. 28, 2018, motorcyclist Konstantine Rudenko, 29, was traveling north on 1st Street when he failed to negotiate the roundabout at Beach Boulevard and struck the center island landscaping wall. His passenger, Leola-Rose Williams, 22, was thrown off the motorcycle and died at the scene, police say. Police conducted a blood test on Rudenko and found that his blood alcohol was above the legal limit, police say. Investigators were able to obtain an arrest warrant on Feb. 6 and arrested him on Feb. 7. No other information was released at this time.